PLANS to extend all-night services to the subsurface lines of London Underground as well as the DLR and part of the Overground have been announced by the Chancellor and the Mayor of London. 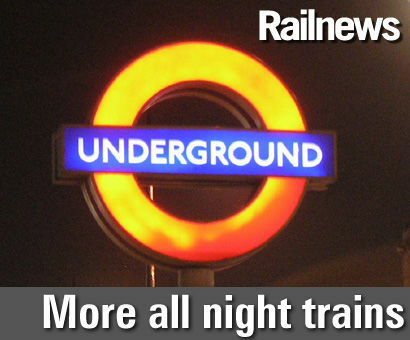 All-night services at weekends on most tube lines are already set to begin in September. Trains will now run all night on the Metropolitan, Circle, District, and Hammersmith & City Lines as well once modernisation has been completed. 24-hour operation will be extended to the Highbury & Islington to New Cross Gate section of London Overground in 2017 and to the Docklands Light Railway by 2021.